If you've ever seen the animated movie Iron Giant, in it the kid is playing around in the scrapyard and says "Welcome to Coolsville, population 1". 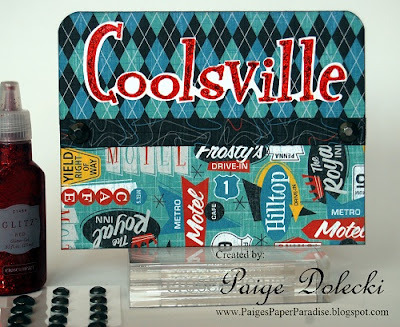 I absolutely love that phrase and the retro 1950's feel of the Cruisin' paper pack reminded me of that movie setting. 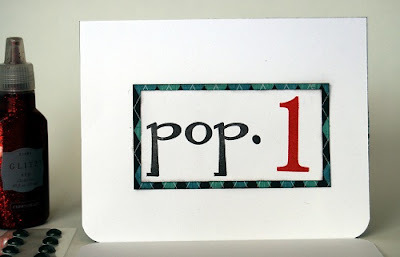 I think it makes for a cute guy card! I have really been enjoying your artwork on the boards lately so I nominated you for a Liebster award. Check out my blog to see the details! What a fun card, Paige! Love the retro vibe!